Charlie finds the golden ticket that will allow him to fulfil his dream and visit Willy Wonka's chocolate factory. Follow him and the other children in this famous and well-loved adventure. 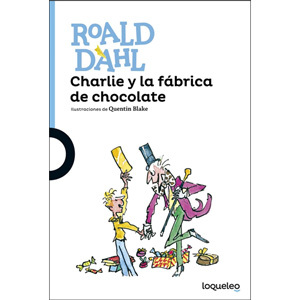 Charlie y la Fábrica de Chocolate is intended for native Spanish readers. It would suit a child aged 9+ if they were fluent in Spanish. Otherwise, this would be excellent reading material for older students wanting something a little different, or perhaps for a fluent parent to read to a younger child.